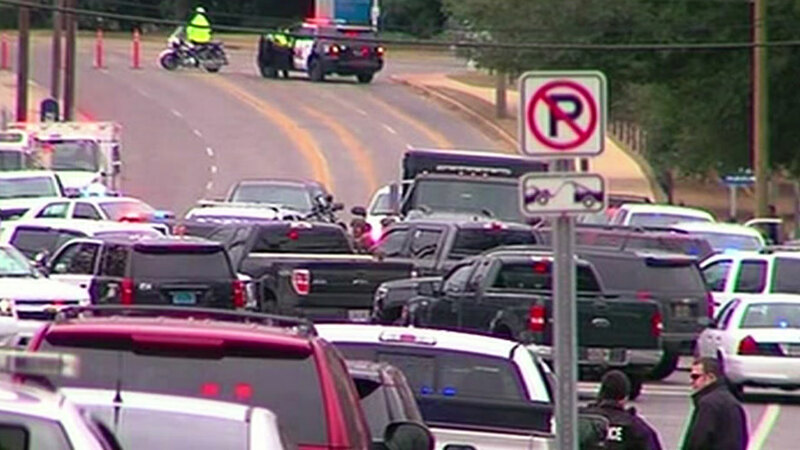 TUSCALOOSA, AL -- Police say the suspect in a hostage standoff near the University of Alabama campus has been arrested, and the hostages are "fine." Campus officials sent an alert Tuesday on Twitter saying police from the university and city received a report of a robbery and hostage situation at an Alabama Credit Union branch. Lt. Teena Richardson, a Tuscaloosa police spokeswoman, told al.com that a gunman entered the building and took the employees inside hostage. However, she said it wasn't initially reported as a robbery. News photos and video show multiple officers around the scene and a roadblock on Bryant Drive, a main campus thoroughfare. Officers have closed the area, and video and photos show police in military-style vehicles and tactical gear. A police helicopter is overhead.